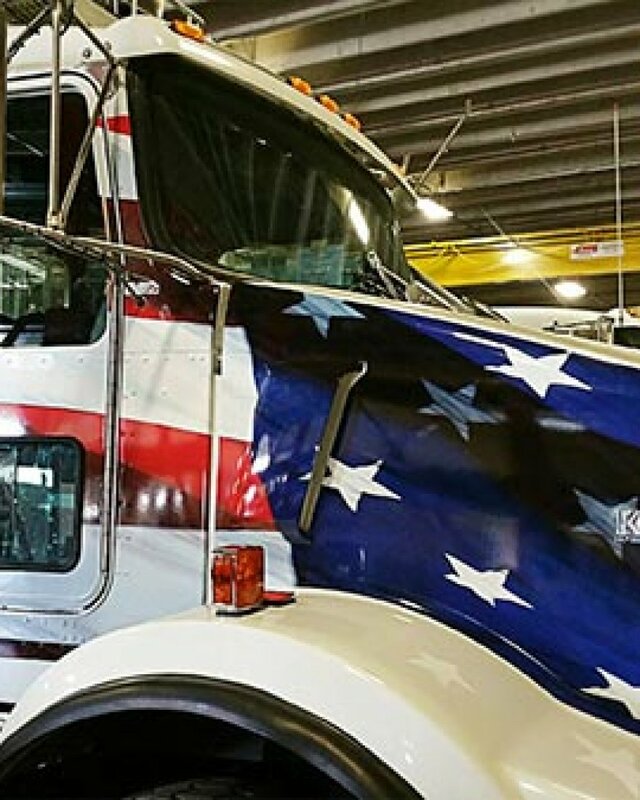 Spruce up your semi truck with a fresh, new custom wrap from Wrap It Up of Kansas City. We have years of experience and are prepared to take on the largest projects. There is no semi truck that we can’t handle! Whether you are looking for something flashy and sure to make a statement or something more reserved and elegant, our designers will work hard to get you the results you need to get your semi looking road ready. Interested in learning more about how we can transform your semi truck with a custom wrap? Contact our Kansas City establishment by calling (913) 948-7752 to learn more about our services. Check out our free, no-obligation quote builder tool.